You may wish to see an introductory page to this section or a page on Avignon with references to Petrarch, an Italian poet of the XIVth century first. View of Vaucluse ("Vallis Clausa", Closed Valley) in a plate from "Alexandre de Laborde - The Monuments of France Chronologically Classified - 1816-1836"
This plate is somewhat extraordinary because the purpose of the book by Alexandre de Laborde was to list and illustrate the finest monuments of France by this meaning temples, churches, castles, etc., yet the author included a view of Vaucluse, a small village near a natural spring, because of the beauty of its landscape and its association with Petrarch, who lived there and described it in his poems. 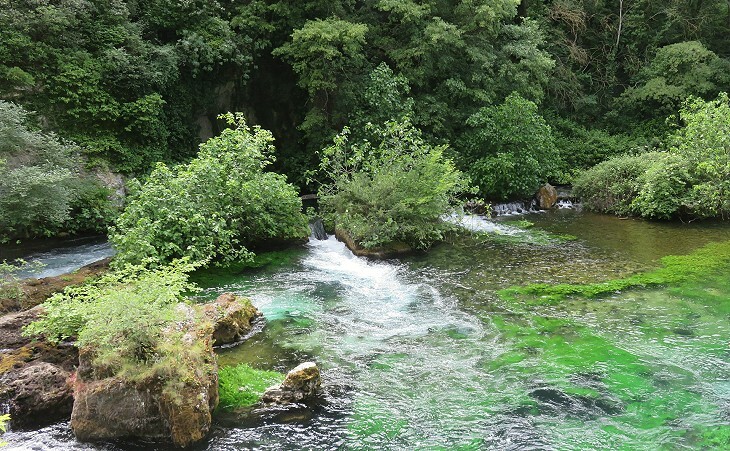 Laborde can be regarded as a forerunner of the recognition of landscape as a value to protect, a concept which was fully developed in the XXth century. The book was very influential in the creation of the position of Inspector-General of Historical Monuments in 1831 and in the ensuing action to identify and protect the monuments of France. 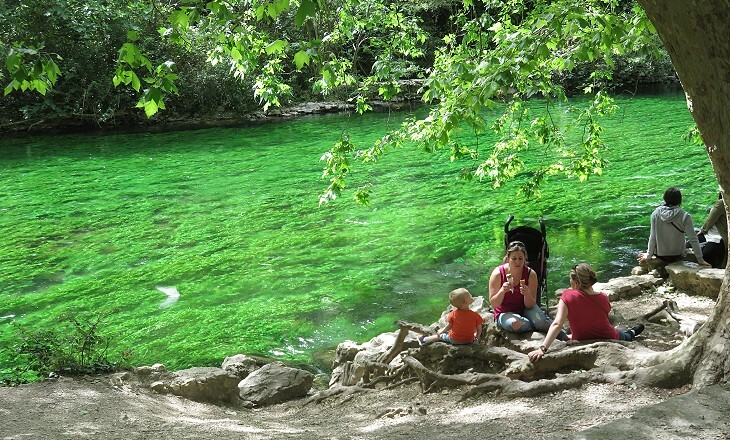 Not far from Avignon is the fountain of Vaucluse where the Sorgue has its source, inclosed with hills and mountains which form the valley of Vaucluse. Here it was that the famous Petrarch fixed his Parnassus, and composed the most part of his works in praise of the beautiful Laura, with whom he fell in love in this very country. 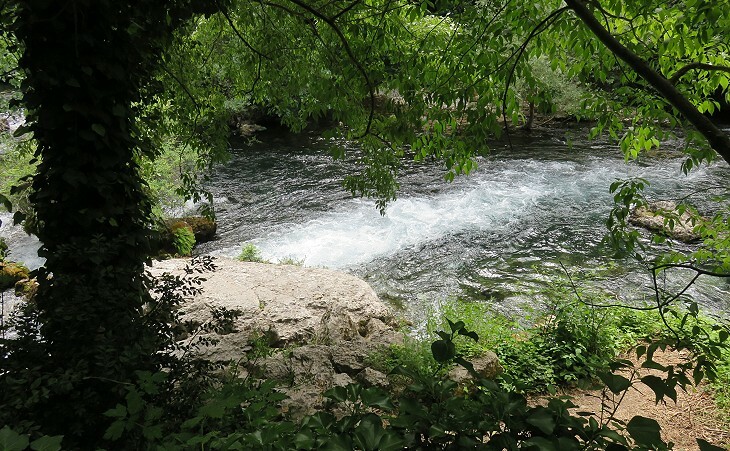 How many times and how ardently have I not longed for a sight of Vaucluse; how many times have I not lamented that I had passed repeatedly through France, without extending my journey as far as the banks of the Sourgue, and the heavenly fields celebrated by Petrarch? (..) From the ruins called Petrarch's Villa, the view extends over a fine country. 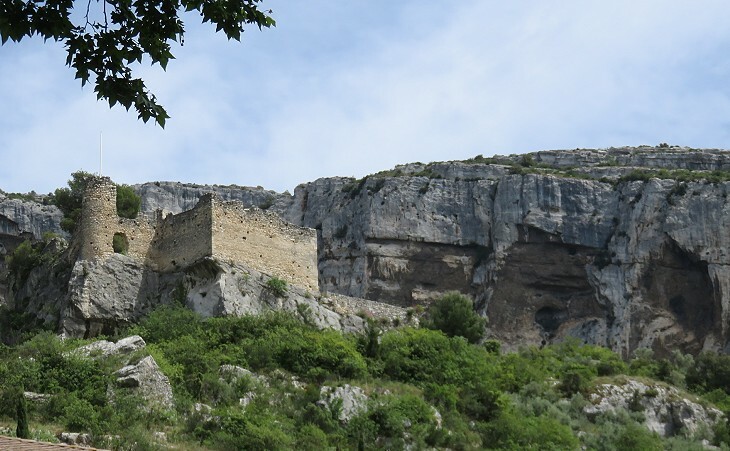 On the declivity of a rock between the village and the fountain are the ruins of a building shown as the Chateau de Petrarque, or residence of Petrarch, but in fact only part of a castle which once belonged to the Bishop of Cavaillon. 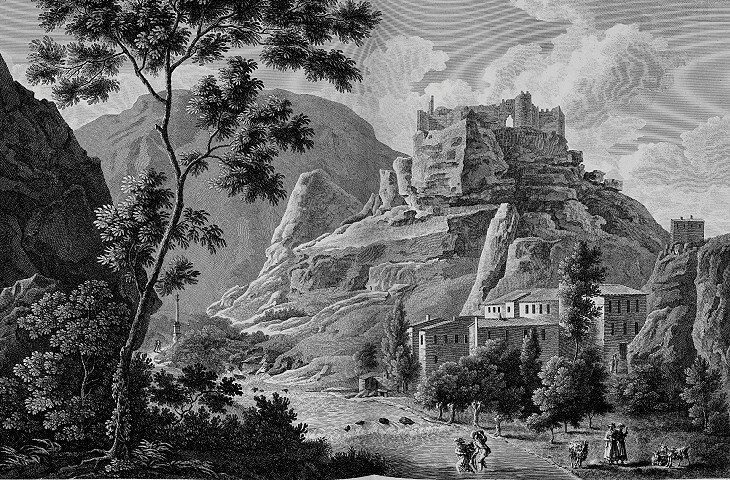 (..) In Petrarch's time also the rocks which border this valley were clothed with wood, but a few scattered vines with some olive and fig trees are all that now prevent their being perfectly naked; yet these noble rocks exhibit a wonderful phenomenon of rude and savage nature highly gratifying to the lovers of romantic scenery. 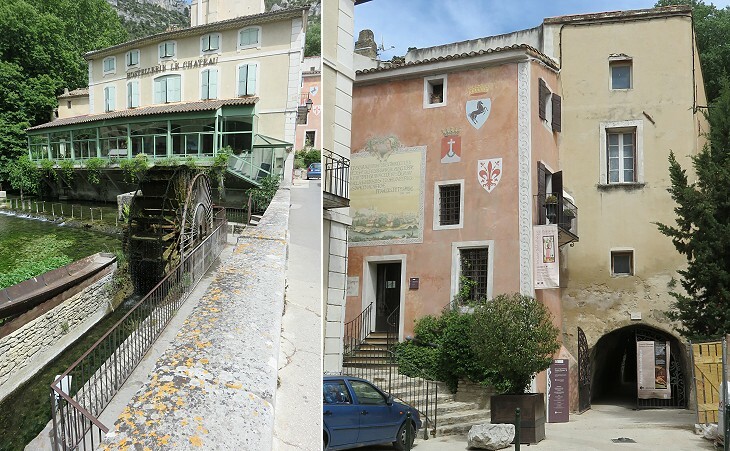 It is incumbent upon all travellers to perform this sentimental journey, not only on account of Petrarch and Laura, but because Vaucluse itself is a striking scene. 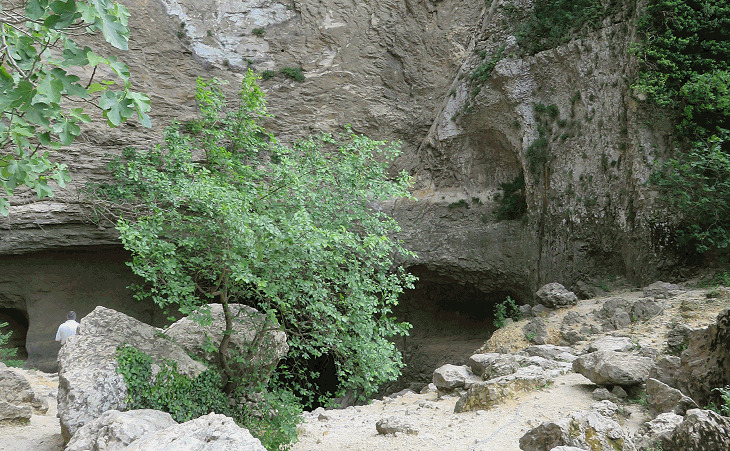 (..) The valley of Vaucluse is a complete cul de sac, a semicircular excavation in the side of a mountain which seems to have been split from top to bottom, so as to disclose the secret storehouse of water within it, whence the sparkling Sorgues derives its supplies. (..) It is more agreeable to contemplate Petrarch in these haunts as the laborious student retired from the world, than as the mawkish lover sighing for a married mistress. (..) Inn: H. de Laure small and not very clean. The landlord is a capital cook (..) his fried trout and eels, soupe a la bisque, and coquille d'Ecrevisse, have made a far deeper and more lasting impression on his visitors than the souvenir of Laura; and indeed they are not to be despised; even Petrarch himself has mentioned the fish of the Sorgues with praise. quest'erba sì ch'altrove non ò pace. nowhere else do I find peace. Swinburne's words bring to mind a better known disappointment. By day and night my mind was haunted by the knowledge of the divine Beauty, which La Berma's acting would be bound to reveal.(..) I sat there and listened to her as I might have read Phèdre, or as though at that moment Phèdre herself was saying the things I was hearing, without La Berma's talent seeming to add anything at all to them. (..) Once the curtain had fallen, I was aware of being disappointed that the enjoyment I had longed for had not been greater. 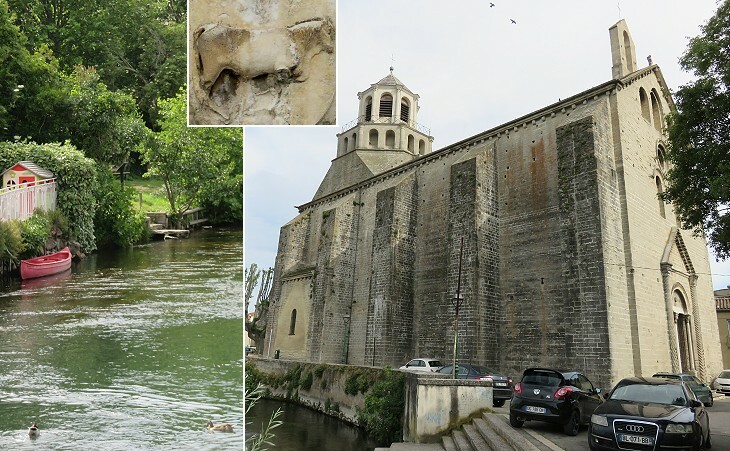 Le Thor was not mentioned by XVIIIth century travellers on their route to Vaucluse, but the 1843 Hand-book by Murray called the attention of its readers to its Romanesque church. This because in 1834 Prosper Mérimée (1803-1870), a French writer who at the time was Inspector-General of Historical Monuments, visited the church and included it among those which were worthy of being protected by the State. According to tradition Charlemagne ordered the construction of the church to celebrate the miracle of the bull, but actually it was built in the XIIth century and a record indicates it was completed in 1202. 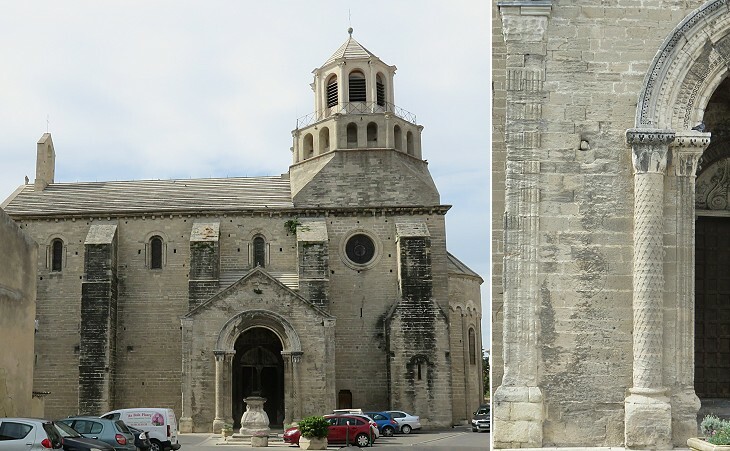 It is a rare example of Romanesque church the external shape of which: a) did not undergo changes to give it a Gothic aspect, and b) it was not seriously damaged during the French Revolution. 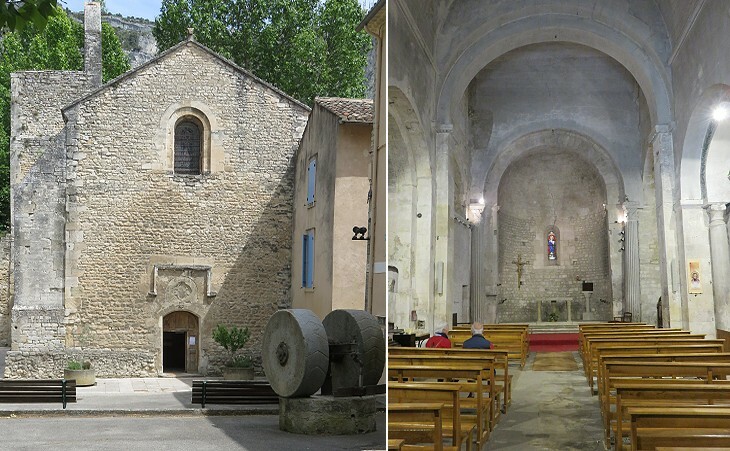 The channelled pilasters of the apse resemble those of Sant-Jean-de-Moustiers at Arles and those of Saint-Quenin at Vaison-la-Romaine, which were believed to be of Roman origin until the early XXth century. 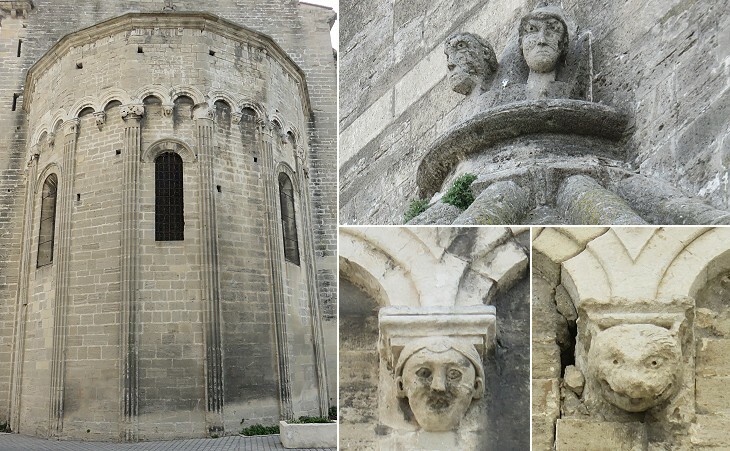 At Le Thor they were clearly identified as Romanesque, because other features of the decoration of the apse were clearly medieval (see the apse of the Cathedral of Anagni). 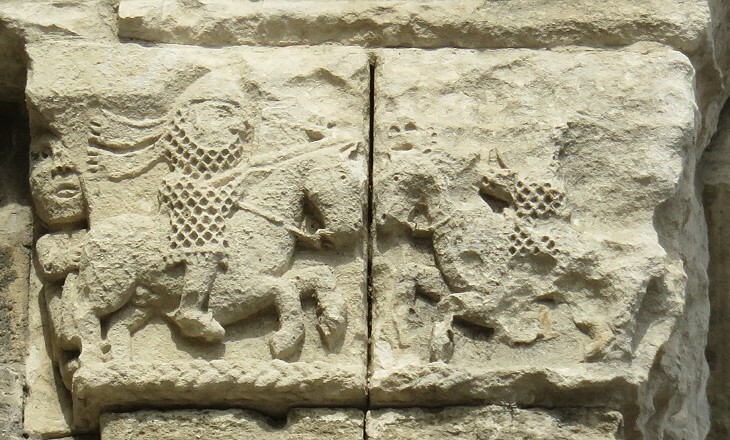 The southern portal has the aspect of a Roman triumphal arch. Le Thor was not a Roman town because its foundation is dated VIIth century, however the region had plenty of ancient monuments which could inspire the master masons who erected this church, including the still standing Arch of Glanum, a Roman town south of Le Thor. 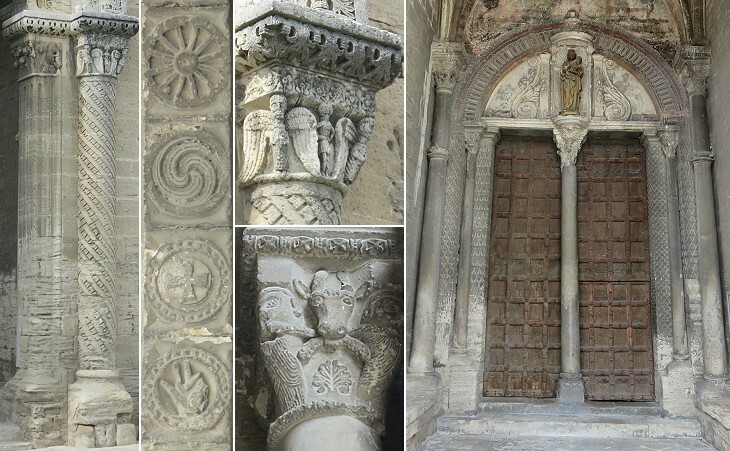 The mix of classical-like columns and medieval capitals and reliefs is typical of the Romanesque style. 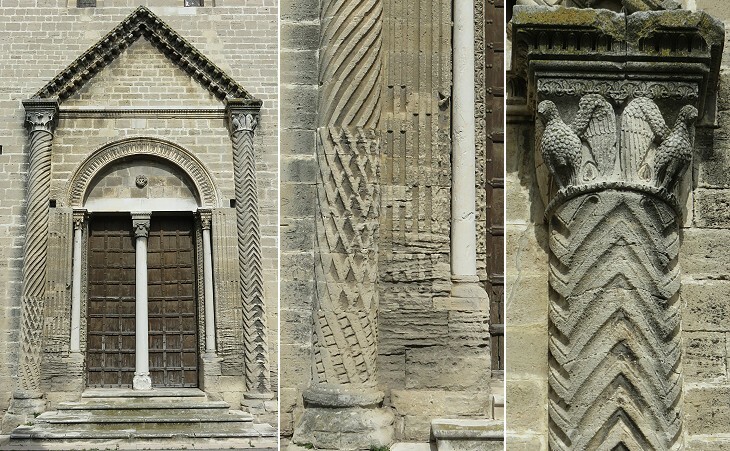 At Le Thor there is a variety of types of columns which can be noticed in other parts of Southern France, e.g. in the cloister of Saint-André-le-Bas at Vienne, but also at the other end of the Roman Empire, i.e. in the Great Mosque of Diyarbakir (Roman Amida), where in that same period Muslim architects created many types of classical-like columns.